The Denver Outlaws had the first say and the last say in Saturday night’s MLL playoff contest vs the Chesapeake Bayhawks, wining 13-12. The Outlaws will meet Dallas in Charleston for the championship next Saturday, August 18th. The game was tied at the end of quarter one 2-2 with goals coming from Kylor Bellistri and Drew Snider for Denver. Steele Stanwick and Josh Byrne put the goals in for Chesapeake. The second quarter is when Denver outscored Chesapeake 4-3. Mikie Schlosser, Eric Law and two long blasts by Zach Currier went past Niko Amato. Myles Jones, Lyle Thompson and Matt Danowski powered past Dillon Ward in Denver’s cage. The third quarter was evenly matched with goals from Currier (2), Bellistri, Thompson (2) and Byrne. Each team scored four times in the fourth quarter. Colin Heacock tied the game at 12 at the 8:07 mark, but it was a critical mistake – a poor shift change – by the Bayhawks’ offensive unit that created a scoring opportunity for Denver. Matt Kavanagh delivered the bullet with 3:53 left that ended Chesapeake’s season. Another noteworthy point was defensive long-pole C.J. Costabile’s face off ability. Costabile had to take multiple faceoffs on Saturday night going 5-17 and then transitioning to play defense as well. Lyle Thompson stood out for Chesapeake with four goals and one assist. Zach Currier did the same for Denver. 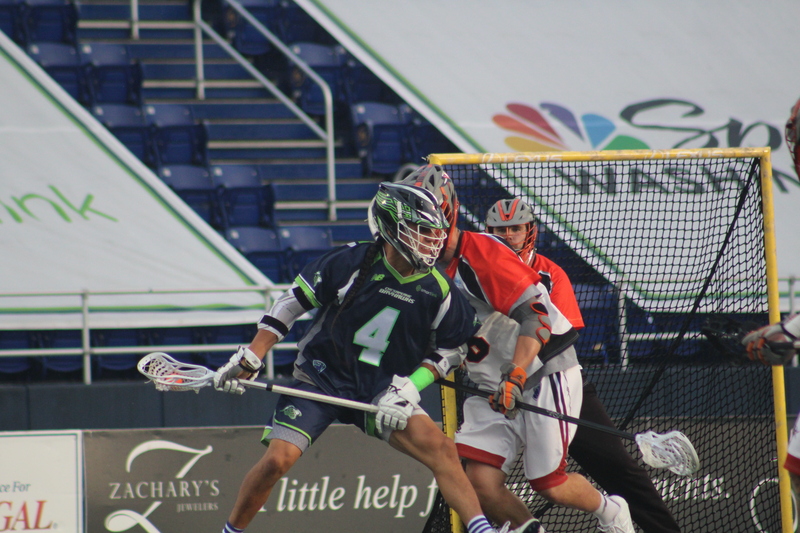 In the end, despite being seemingly evenly matched this contest, it was the errors by the Bayhawks that the Outlaws wrangled up and took advantage of that allowed them to move on.